So who do you guys got? The owner, the assistant owner, the play caller, the hype man, and the quarterback. It starts at the top right? GB: Cooper thought he played extremely well for only having 5 practices under his belt. But I wanted to note that our franchise runningback, our premier playmaker, our highest draft pick since 1991, is averaging 19 carries for 63.5 yards (3.34 YPC) over his last 4 games. Yes, the OL has regressed. Yes, the scheme stinks. Yes, no one respects Dak. But when you have as much or more invested in Ezekiel Elliott as the rest of those components, isn’t he supposed to... overcome that somewhat? Make a noticeable contribution? Apparently not, because the RB position is more reliant on surroundings and inherently replaceable than any other. Zeke is far from the problem. But he’s not the solution either. He’s not transendent. And drafting him as high as we did was always an indication that this team is clueless from the top down. Coaching staff, Dak, OL. We had two weeks to prepare and this is what we get? I think the Garrett watch is on. Everyone sucked tonight from the top down. Cooper is good but he’s not worth the upcoming top 10 pick we paid to get him. I'm giving a GB to Bryon Jones. Like George Teague, Jones now forever has a place in my heart no matter what. HM: Cooper showed pretty well given his short time here. SLappers - Personnel dept. and coaching staff have got to go. End of story there. I'm giving a clapper to the broadcast crew. That was a painful game to watch, and the commentary was just as cringeworthy. My goodness. They were hammering us for giving to Zeke to much and not letting Dak throw enough. 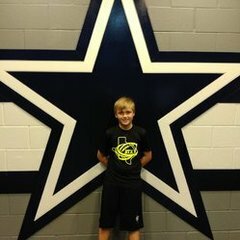 While Dak went over 30 attempts, and Zeke had 6 touches in the 2nd half. I don't think Dak throwing more is good for the team, unless the team is playing us. Zeke had 12 carries for 45 yards and 96 all purpose yards in the first half. He is a big reason along with the defense that we were able to get to the redzone, just to f it up. He got 6 touches in the 2nd half. "Bryan:With the way that Ezekiel Elliott started out I thought he was going to have a monster game. When the Titans held the ball for almost 9 minutes, it appeared that the Cowboys went away from that plan of running Elliott and I thought that was a mistake." Zeke sucked all 6 touches if we are being intellectually honest. And I think the OL is at fault, not him. Zeke does appear to be more plodding than before. Really? I blame the coaches for every single thing that goes wrong now.